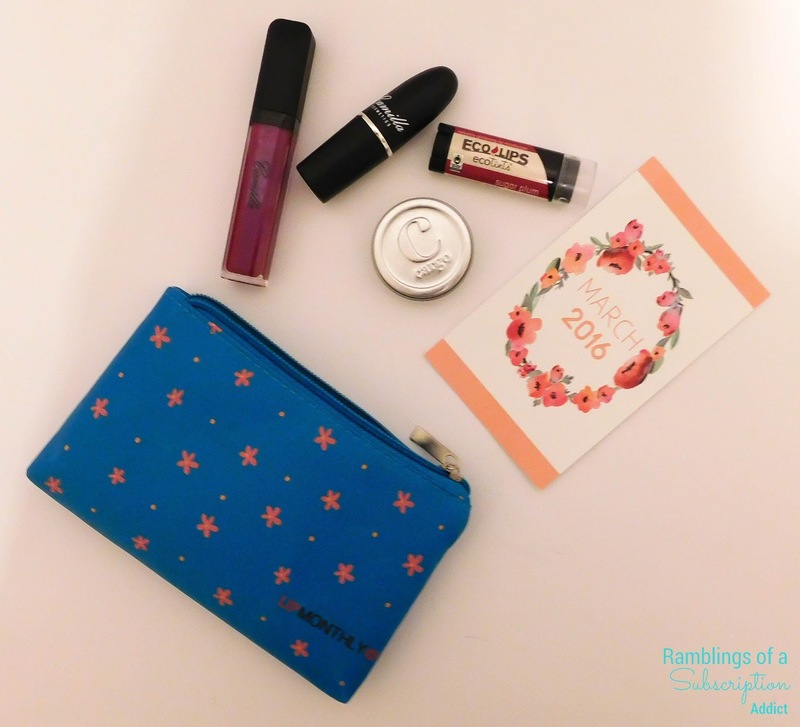 Lip Monthly - March 2016 + Coupon Code! Disclosure: This bag was sent to me in exchange for a review, all opinions are my own. This post contains affiliate links. I had a slight issue with the March bag being sent to my old address, but I contacted Customer Service and they had a new bag sent to my correct address that day. That's my kind of CS! 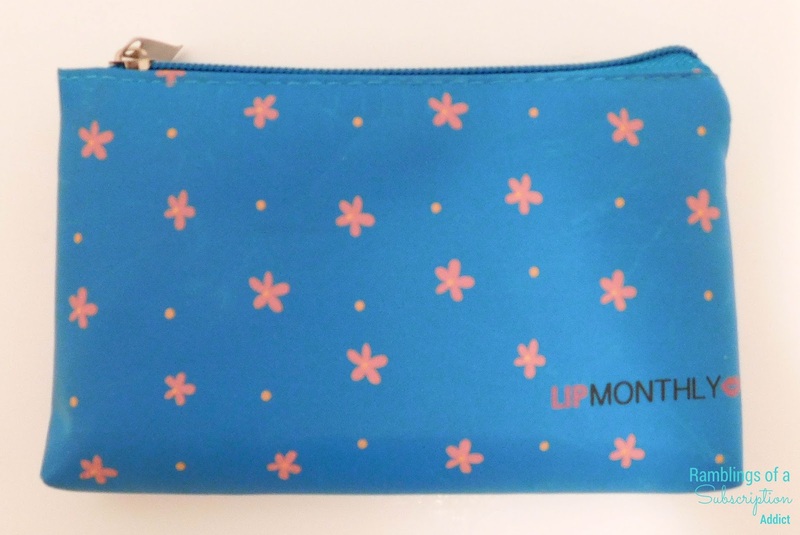 The March bag was so cute, I love the little flowers! 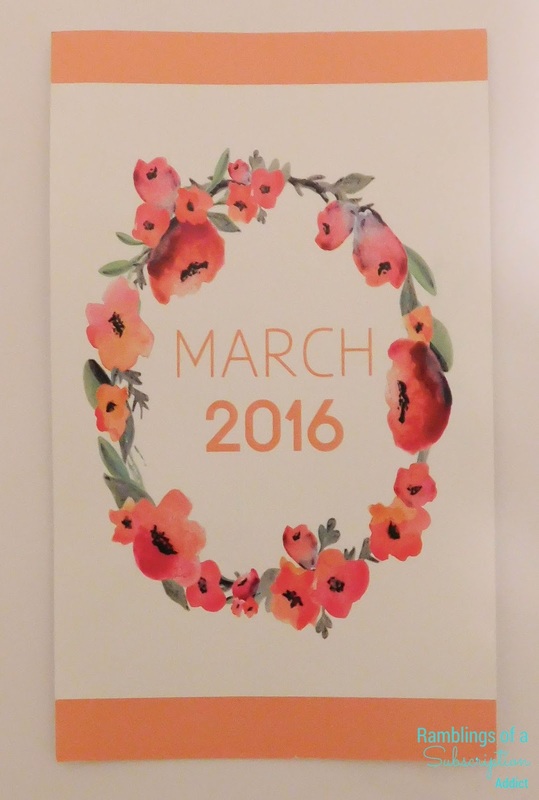 It's light and delicate and definitely Springy! EcoTints (Sugar Plum) ($4.49) - I received a different shade of EcoTints in the final Lip Factory bag, so I already knew what I was getting into. I love that this is a darker shade without being too overwhelming. The EcoTints balms are a great way to get a lot of moisture and a little bit of color. 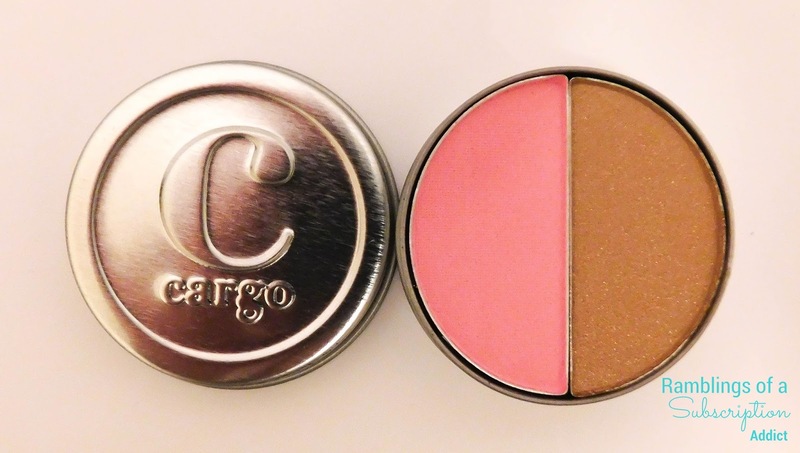 Cargo Cosmetics Blush/Bronzer Duo (Catalina/Medium) ($10) - I couldn't find this duo for sale on Cargo's website, so I am basing the price on what Lip Monthly told us. Catalina is a cotton candy pink, which is the complete opposite of any blush color that I wear for it's too light. The bronzer, on the other hand, is too dark. I passed it along to someone who will wear these shades. 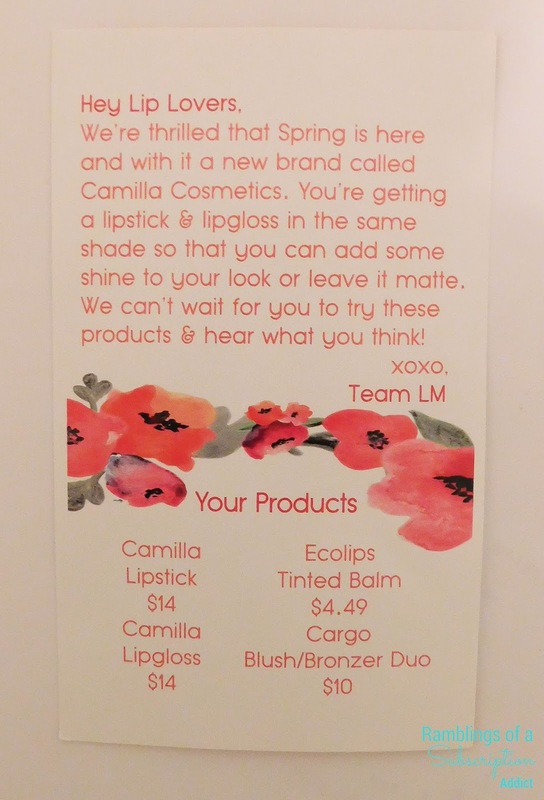 Camilla Cosmetics Lip Gloss ($14.00) - I'm guessing this is a new brand, because I had not heard of them prior and they only have two products for sale. 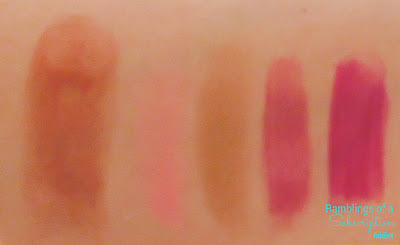 Their product photo is much lighter and more pink than what I actually received, but it applies in such a light berry shade. It feels nice and has a good shine without being too sticky. 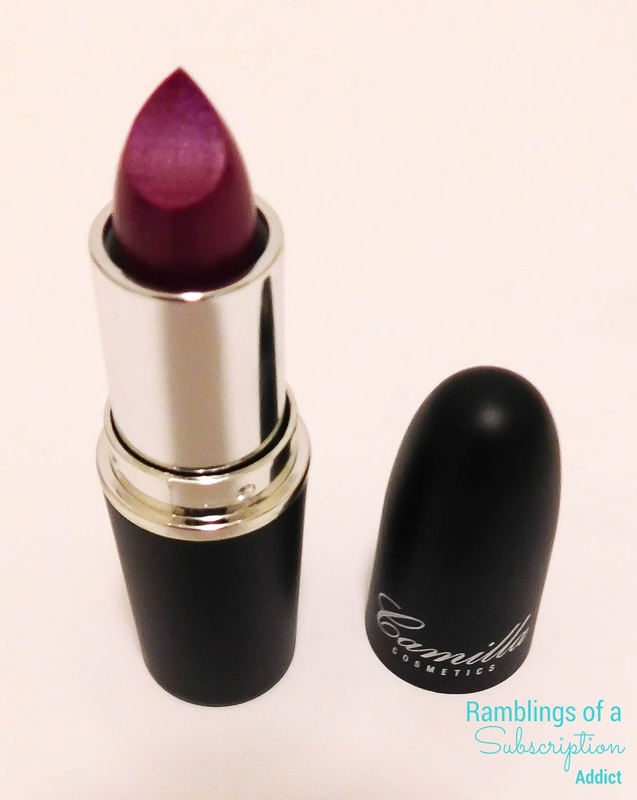 Camilla Cosmetics Hydrating Lip Stick ($14.00) - Again, the picture on the website is definitely not the color that I received, but it's the only 'color' they offer. It doesn't apply nearly as dark, which is a huge relief because the tube color was far too dark for me. It goes on very smooth and feels wonderful once it's on. 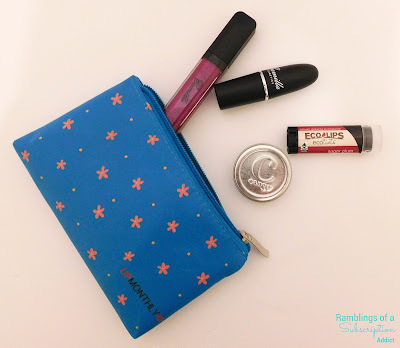 This Lip Monthly bag is valued at $42.49, which is well over the cost. I loved the lip products and the duo is going to a loving home! As always, let me know what you thought of this bag!